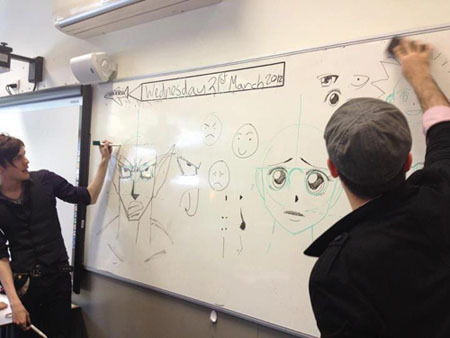 We run manga drawing classes for public libraries and schools around Victoria. Our most popular class is a 1 hour session on drawing basic manga style faces. We can also cover drawing chibi(cute style) characters, comic panelling, or do lectures on the history of manga. Manga workshops around Australia since 2003. Additional travel charges apply for locations outside the South Eastern suburbs. Private tuition for South Eastern suburbs or online Skype sessions are also available. I went to your manga class, and it was awesome!!!!! !